More and more dining experiences are taking guests for a walk on the wild side, serving up super-local foraged flora and fauna – a restaurant-style made famous by the Michelin-starred Noma restaurant in Copenhagen. Here are four of the best. Gustu (La Paz, Bolivia): Equal parts restaurant and social initiative, this unassuming spot, tucked away in La Paz’s Calacoto neighbourhood, was started by Claus Meyer – who most famously co-founded Noma, once the world’s best restaurant. Here in the world’s highest capital city (surrounded by snow-capped Andean peaks, the heart of La Paz reaches more than 3,600 metres), Gustu serves up a weird, wonderful, all-Bolivian tasting menu scoured from these high-altitude climes, where both the air and soil are thin. 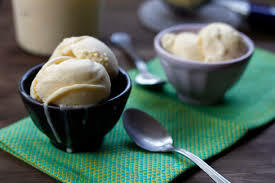 Also expect national favourites such as appetizers of ‘silky palm marrow with alpaca charque,’ Amazonian fish stew, and a dessert that delivers goat cheese ice cream. And in line with Meyer’s goal to “fight poverty through deliciousness,” he founded a cooking school for disadvantaged youth, channelling them into Gustu’s esteemed kitchen upon graduation. 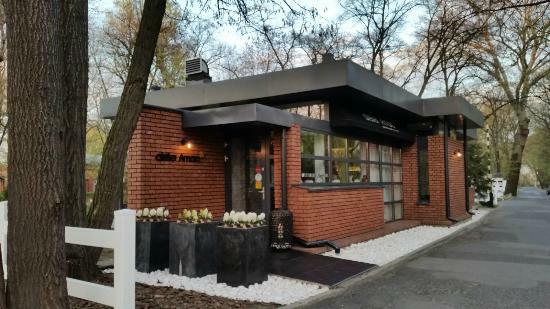 Atelier Amaro (Warsaw, Poland): Set on the edge of a leafy park, it’s hard to imagine that this little restaurant was once a public bathroom. Departing a prestigious chef’s post at Noma, Wojciech Modest Amaro returned to his native Poland to build something great – a place in line with his goal be to both patriot and pioneer. Getting into his car, he travelled some 60,000 kilometres, all over his home country, in search of foragers and farmers to supply him and his atelier (which, for the record, has scrubbed away all remnants of its lavatory past). The result: foie gras and saffron and truffles and sage, served on rough-cut stone carved from the Tatra Mountains. Also: a Michelin star, and the chef becoming a star in his own right, now serving as the head judge on Poland’s version of Top Chef. Amaz (Lima, Peru): Named to a list of the world’s 50 best restaurants, this Miraflores upstart takes Latin American standbys – ceviche, cecina, empanadas – and adds a rainforest twist. Chef Pedro Miguel Schiaffino spent some 10 years in the jungle, forging bonds with Amazonian foragers who now serve as his suppliers, sending him exotic ingredients such as star fruit, river shrimp and cashew nut oil. 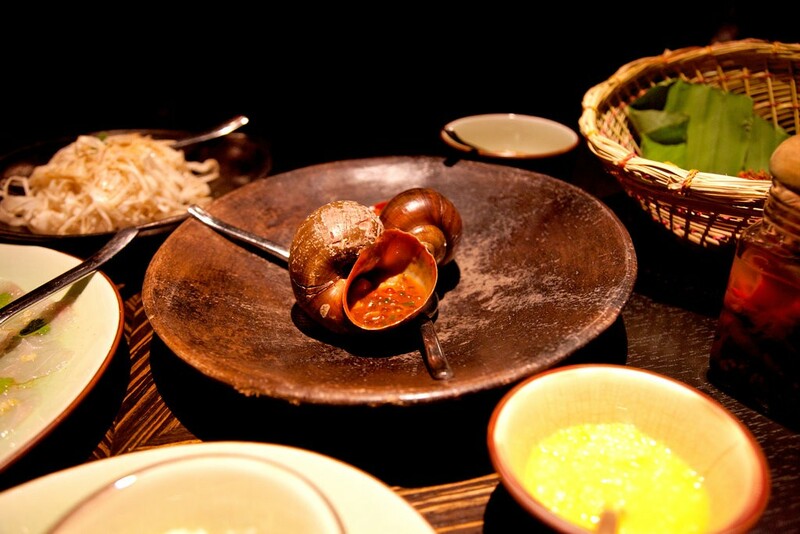 And if you want to go a little beyond your comfort zone, you can do that, too – order pacamoto, an indigenous dish that cooks fish in bamboo, slow-cooked Amazonian snails or wild boar empanadas. Keenawaii’s Kitchen (Haida Gwaii, British Columbia): Backing onto a peaceful inlet, Roberta Olsen’s home on these misty, mystical Northern B.C. islands has welcomed diners from around the world for more than two decades. Foraging for the food herself, Olsen’s meals draw on her Haida roots, using methods honed during an upbringing raised in a family of gatherers, and then fully realized when she discovered the power of food back in 1985 while cooking and serving her fellow protesters during a logging blockade on nearby Lyell Island. Gather first for a spiritual blessing, then tuck into bannock, dried herring roe on kelp, wild raspberries, wild rice, roasted sea asparagus, as well as octopus, black cod and sockeye salmon, and head out back to finish the evening with traditional songs, led by three generations of Olsens.